Community Service is a powerful tool used to improve the quality of living in society. No matter how big or small the service it’s contributable efforts play a major role in raising awareness for taking a selfless action in making the world a better place to live and play. The principles emphasized in martial arts are one in the same as the endless passing of knowledge from one’s experience supplies the recipient a positive outlet to enhancing their lives. 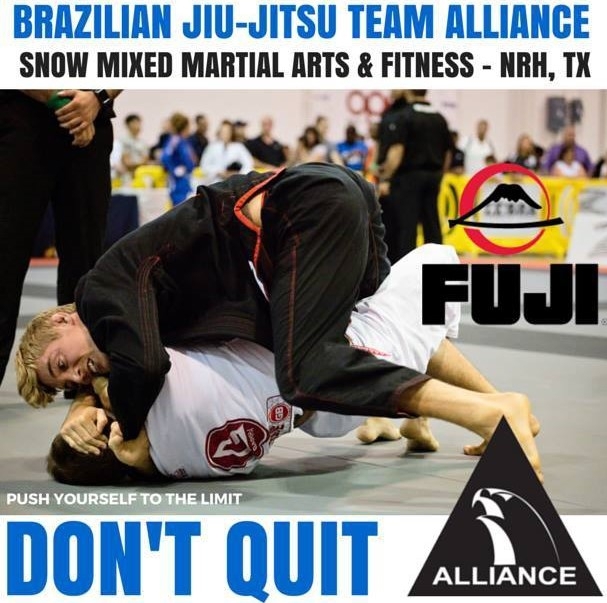 BJJ black belt Eliot Kelly success as a competitor and personal growth showcases the results that Martial arts produce. Giving back Kelly has taken part in various community service outreaches with a fusion of martial arts doing his part in uncovering a solution to a problem. BJJ Legends got the opportunity to speak with Kelly has he touches on the influence community service has played in the Brazilian Jiu-jitsu community. When you think of community service & Martial Arts what comes to mind? Kelly: In my opinion, most martial arts have an element of community service built into their practice. The core of martial arts is about development and growth. Conceptually, martial art is about facing the challenges we have to better ourselves and the people around us in the dojo,and applying the lessons from those challenges into our daily life off the mat. I feel the spirit of martial arts is about leading the person in front of you to a better, stronger place, and as a result of that you become better and stronger. I see community service as just that. Facing a challenge to better the people around you andhelp them grow. The result is in a better community for everyone! How is the focus on community service used in the BJJ community? Kelly: I think Jiu-Jitsu has an excellent reputation for including community service in their practices, and I don’t think this is a coincidence. The act of training makes us humble, helps us express humility and gratitude for where we are in life. As a result the Jiu-Jitsu community gravitates towards finding ways to better the people around them through service. When people talk about living the Jiu-Jitsu lifestyle, I think community service is a key component.My Professor, Marcos Torregrosa, for example goes all over to teach seminars, but he will also teach a community service like seminar to raise money for a good cause and bring awareness towards certain topics. I recently attended a roll-a-thon even in Rocklin at Professor Gustavo’s Infinite Jiu Jitsu Academy where they raised awareness and funds for Autism. Professor Claudio Franca hosts a food drive seminar every year in the fall to help feed the hungry and the price for the seminar is “food.” All these Jiu-Jitsu related community service events are great examples of the BJJ community getting together to collaborate, contribute, and enrich those around them. Being a very active competitor alongside your duties as an Instructor, what inspired you to take that role of becoming a charitable contributor to society off the mat? Kelly: I’m still just striving to become a successful competitor and instructor… But through that process I’ve come to realize that the general public doesn’t really understand Jiu-Jitsu and the unassuming power of Jiu-Jitsu. Jiu-Jitsu is not just a sport, it’s not just a martial art, and many people refer to Jiu-Jitsu as being a lifestyle. My inspiration began with the desire to better understand and better communicate to the general public, and those involved in Jiu-Jitsu, about the Jiu-Jitsu lifestyle we talk about but don’t necessarily define. After lots of blogging, thinking, and talking, I feel the lifestyle we refer to isn’t just about the training, but applying our training into other areas off the mat. Sam Calavitta, Gary Merlo, Tom Callos, Chad Robichaux, Marcos Torregrosa, and Adisa Banjoku are people that have helped me better understand this idea in application.The Jiu-Jitsu lifestyle begins with stepping on the mat and challenging yourself and the people around you to become better. When we take those lessons from challenging ourselves on the mat and apply them into other areas of our life off the mat, then we begin to live the Jiu-Jitsu lifestyle. What are some community service projects you’ve participated in ? Kelly: We try to host a community service related event atour school in El Dorado Hills, California every month, a self-defense workshop, anti-bullying workshop, law enforcement workshop for people to get on the mat to better understand the potential of Jiu-Jitsu. Every year I go to the local high school in El Dorado Hills to help the P.E. teachers teach their combative lesson to their freshmen class. These are events that help bring people off the mat on the mat. Professor Chad Robichaux of Gracie Barra formed the Mighty Oaks Warrior Program, a program to help combat veterans adjust back to life stateside.Through his own experiences in marital arts, Chad and his wife Cathy have structured an incredible program to serve veterans with PTSD and Physical Trauma. Last year students in El Dorado Hills hosted a 24 hour roll-a-thon event to contribute funding and awareness towards prostate cancer and the Might Oaks Warrior Program. This was a huge project for them to schedule, organize, network, and implement. A great example of taking the lessons and challenges from training and applying to other areas off the mat.I’ve been really lucky to have partnered with a few very dedicated members of the community that have helped set up scholarship opportunities at our school. In designing our scholarship program we’ve included a section on community service. Students on scholarship create their own project, on their own hours, and make it happen! In the future, I would like to be involved in creating a non-profit organization that incorporates the power of Jiu-Jitsu and community service in educating our community. Can you talk a little more about this? In your experience what have you gotten out Of your charitable deeds? Kelly: A couple sandwiches…. LOL! Just kidding… I feel my experiences have helped me better understand the arts. Definitely the art of teaching and Jiu-Jitsu, but also the art of communication and the art of organizing events. Every time these things take place, I’m humbled by the power of people wanting to help. All these experiences help me have an attitude of gratitude. Finally any advice for people looking does start up their own community service outreach through Martial Arts? Kelly: Yes! Seek out Tom Callos and his organization called, The 100. The 100 is a gathering ground for those dedicated to developing the community through martial arts, and a catalyst to promote many types of community service based events. Tom was the catalyst for the Penn Foundation in Hilo, Hawaii, an outreach program for the youth in the area. Another example is the “Alabama Buildvention.” Where martial artists gather from all over the world to fully fund and build a home for the less fortunate. We’ve only done some fundraising for this community service project, but I would like to attend one of thesedays… Another great person to seek advice from is Adisa Banjoku of the Hip-hop Chess Federation. I had the opportunity to participate in a collaborative event with the HHCF and the KO Finisher down in Anaheim earlier this year, and can’t say enough great things about their organization and integration, application, and communication of the Jiu-Jitsu lifestyle with hip hop and chess. Most importantly, get moving! Just like Jiu-Jitsu, the best way to get started with jiu-jitsu is to get moving. We might fail at first, and many times after that, but keep moving, listen to your coach, and surround yourself with like-minded people that will embrace that Jiu-Jitsu lifestyle. Kelly: Live the Jiu Jitsu Lifestyle!